Capture the art and charm of beautiful handwriting with a very cherished and unique form of expression, calligraphy. 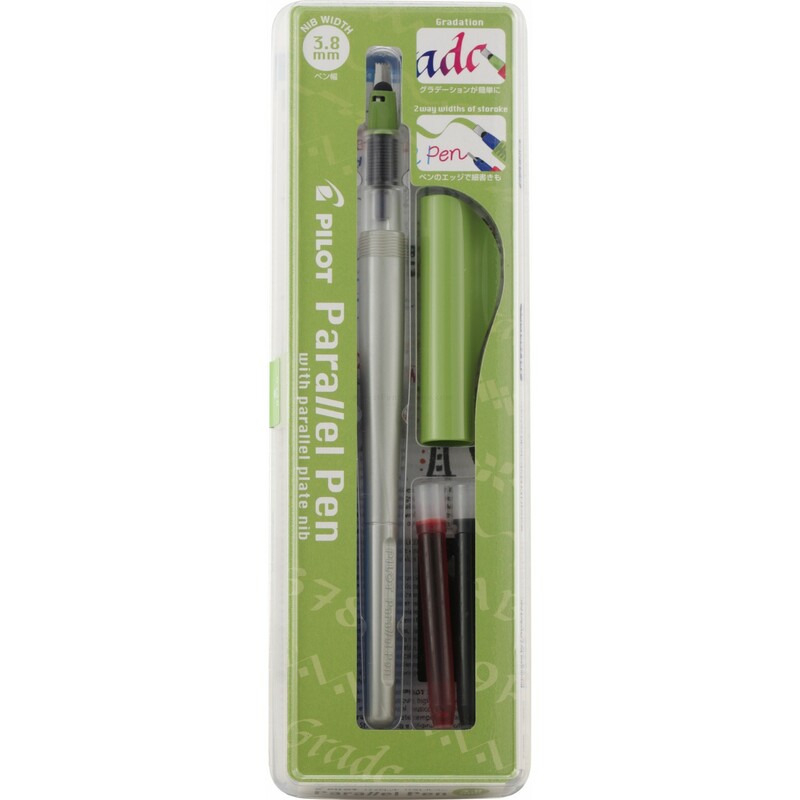 A major breakthrough in calligraphy pen design, Pilotâ€™s Parallel Pens feature a nib that consists of two parallel plates allowing the experienced or novice writer to produce crisp, smooth flowing lines. If itâ€™s too difficult to choose just one ink color, gently blend the ink of two Parallel Pen nibs together to create mixable inks with remarkable color effects. Load two pens, each with a different but compatible color of cartridge. Hold one pen vertically and touch the second pen to the first pen for a few seconds. Begin to write with the first pen and delight in the blending of the two colors. Each set comes with a Parallel Pen, one black and one red ink cartridge, a converter to properly flush the pen, nib cleaner and use & care guide. 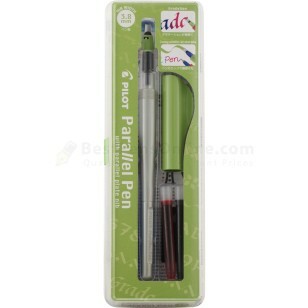 Parallel Pens are available in four nib widths, each packaged separately: 1.5mm, 2.4mm, 3.8mm and 6.0mm. Item: Calligraphy pen set comes with Black and Red Ink.